Claire and Glyn Davies paint in watercolours and are developing a vibrant range of acrylic ink images, prints and cards as well as photographs. 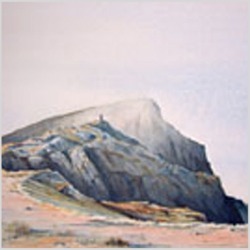 Together with their daughter Rowena, who is also an artist, they provide a fresh perspective on Wales’ land and sea scapes. The Gallery is open daily throughout the year. It exhibits stunning paintings, prints, a large selection of gallery selected greeting cards, handmade jewellery and ceramics. A publishing service is also available to artists and photographers.